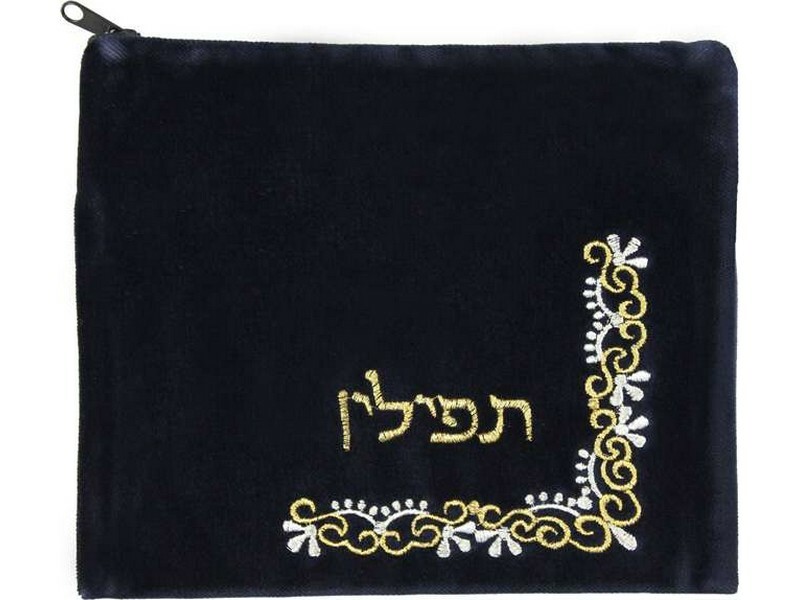 This navy colored tallit/tefillin bag is designed with elegant baroque designs filling the bottom right corner. Embroidered on lush velvet, the design is made with silver and gold colored thread. The Hebrew word “tallit” or “tefillin”, depending on what size/style is selected is embroidered with gold colored thread on the design.